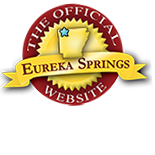 The City of Eureka Springs was founded and named on July 4, 1879. Today it is known for it’s rich Victorian history. It his hard to walk down the winding streets of historic Eureka Springs and not feel transported back in time. 4th of July in Downtown Eureka Springs is filled with history, old fashioned treats and fun for the whole family! The Eureka Springs Historical Mueseum presents the Happy Birthday Eureka Springs Stroll. This tour focuses on the “upper loop” of Eureka Springs. A historical character will be featured outside each home or landmark giving a brief summary of the significance of the structure pertaining to the history of Eureka Springs, and the people who resided or worked there. Buy Tickets Here. Come down to Lake Leatherwood park to experience the best fireworks display in Eureka Springs! The park is open all day, so come early and enjoy a picnic, hiking and swimming. Concessions will be available. Free shuttles will be running to and from the Lake to make your day even more relaxing and convenient. Fireworks will begin at dark. A good, old fashioned 4th of July Parade winds its way through downtown Eureka Springs. Following the parade, don’t miss these great events in Basin Spring Park. This entry was posted on June 9, 2017 by service424 in Family Fun, Festivals, Fun Downtown, History, Things to Do and tagged Arkansas, Eureka Springs, eureka springs indépendance day, forth of July, fourth of july, July 4, July 4th, july fourth, parade, tour.